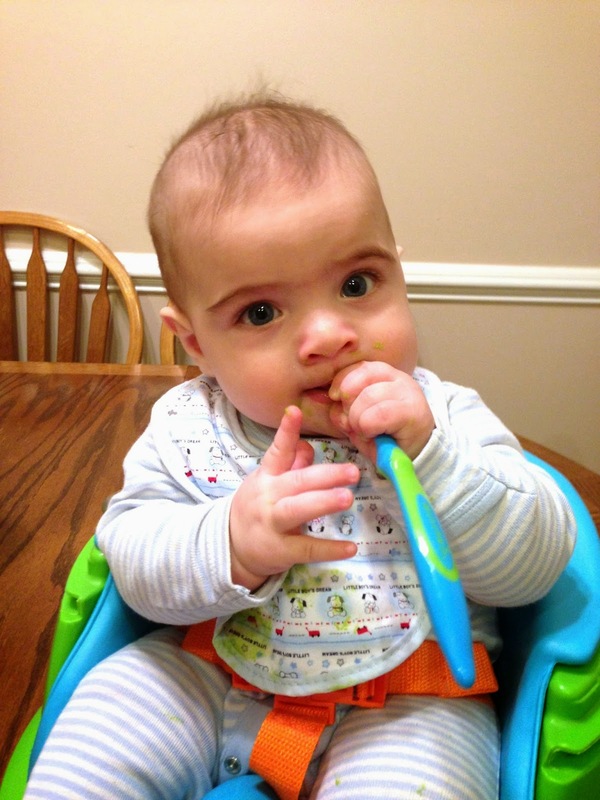 Bradley loved peas!! Which is somewhat surprising. They are much less sweet than the sweet potatoes, so I figured he would be hesitant to eat them after having something so delicious. But not my little guy. So far his appetite is great. He definitely takes after his parents! Add water to a saucepan and bring to a boil. Add peas and allow water to return to a boil. Once boiling, cover and lower heat. Cook for 5-7 minutes, or until tender. Add peas with water to a food processor or blender. Puree until it reaches your desired consistency, adding more water if necessary. Allow to cool then serve to your baby with a spoon. I recommend adding some breast milk or formula to the pureed peas as well...this thins out the peas and adds a flavor they already know and enjoy. If saving for a later date, pour it into storage cups to freeze or refrigerate. You can refrigerate up to 3 days or freeze for 30 days. Make sure you label your peas! 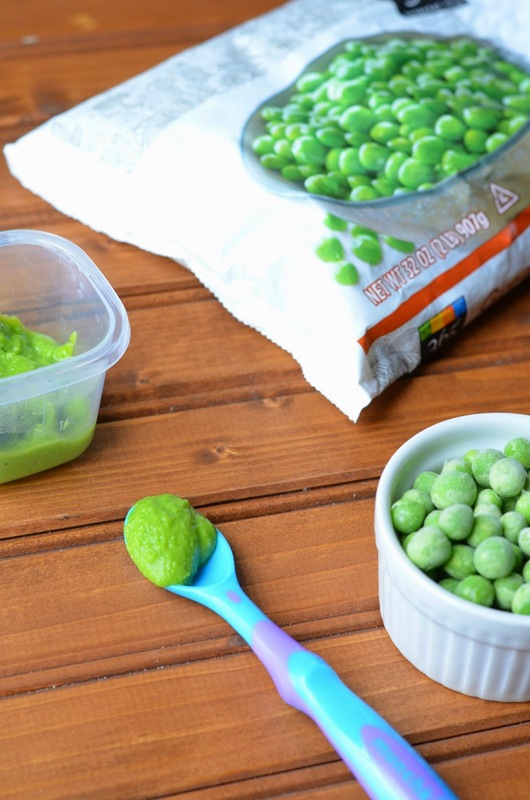 Once you are ready to serve, heat the refrigerated or frozen peas up in the microwave and allow to cool to just warmer than room temperature. Add breast milk or formula to thin it out. I really need to start making some of Lindsey's food at home! Thanks for sharing this!